In this truly unique tale of unimaginable proportions! 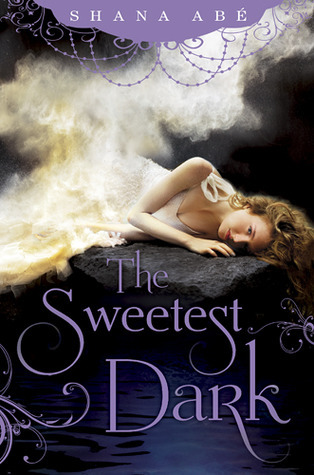 With fluid and engaging writing, interesting plot and out-of-the-ordinary concepts, The Sweetest Dark surprised me. This coming-of-age story of Eleanore really something magical. It’s mysticism is alluring! My view on young adult books were brought to new fantastical heights with a story of smoke and Dragons, songs and Stars. The writing was not only descriptive, but it also had a poetic beauty, mixed with wit and excitement. I must admit that the concept of dragons and (especially) the stars and their role in this book was confusing at first, but I sunk into it’s basic overall meaning eventually. The ending, although it may be heartbreaking for some, wasn’t as much for me. I really love Armand’s character, and I can’t wait to see him and Eleanore evolve in future books. In all, I really liked this book and the original concepts it takes on. As I’m writing this, I have already read, finished and loved the second book, “The Deepest Night” and let me tell you it is not only better than this first book, it’s amazing! I really can’t wait for a third book! I’d recommend this book for those who love originality in fantasy, intrigue and something all-around new in the young adult genre.